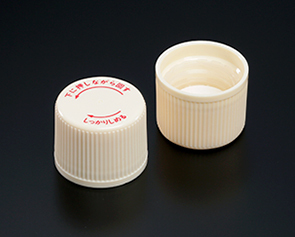 Child Resistant ｜ Nippon Closures Co., Ltd. This cap protects against accidental ingestion and use by children as it can only be opened by pushing down and twisting. If a child tries to open the cap without pushing down, the cap makes a clicking sound, alerting anyone nearby.